Today I am going review a face wash from a new brand Green Bliss . It’s Aloe Face wash Review . 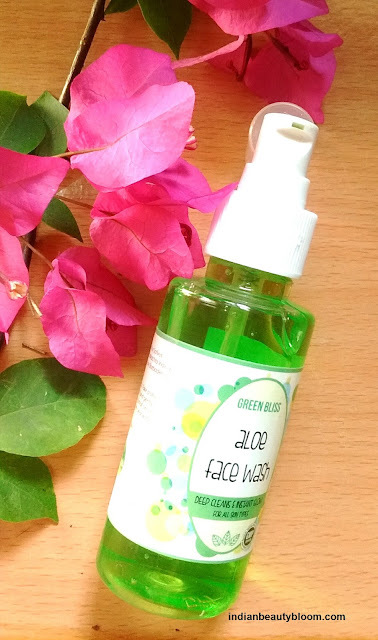 Green Bliss is a new brand in Indian market which provides Natural & Organic products. It’s Product range includes Skin care , hair care , Body & Bath products. Their products are Vegan and are free of harmful chemicals . Their products are certified Ayurvedic and are made from organic raw materials . 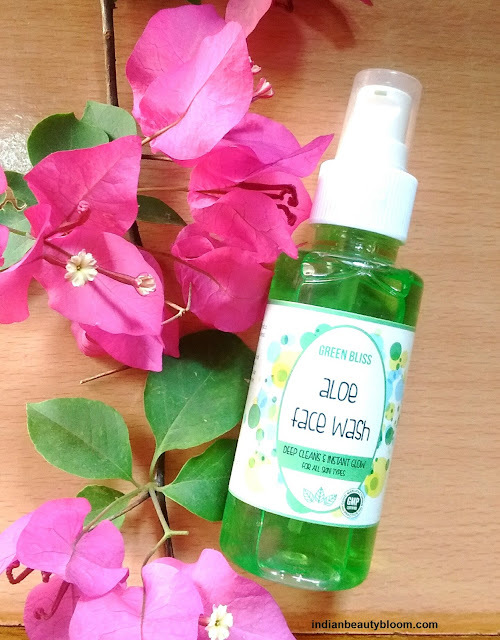 This Aloe face wash is good product from this brand which has goodness of aloe vera and Tulsi and is suitable for all skin type . Regular usage improves the facial skin and makes it appear younger and healthier . 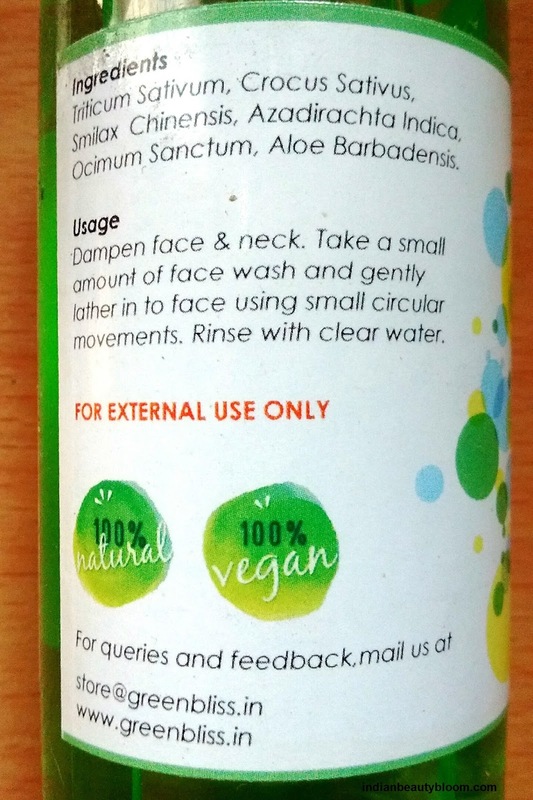 The face wash is in a plastic bottle with a dispenser from which one can easily take out small quantity of face wash for use , no wastage of product . 2. 100% natural ingredients . 3. Free of harmful chemicals & preservatives . 5. Contains goodness of aloe vera and Tulsi which are good for skin . 6.Suitable for all skin type . 7. Does it’s work well , cleanses the skin properly without drying it . 8. Contains Pro Vitamin A , which is good for skin . 9. Contains Tulsi which has antiseptic & healing properties . 2. Price bit high as compared to face wash from other brands . I am using this face wash past few days . It’s a green color mild cleanser which thoroughly cleanses the skin and makes it oil free ( some thing which I always want as my skin type is oily ). It has a nice mild fragrance which is good . It does not dries the skin . Good for people who want to use mild cleanser with aloe vera .